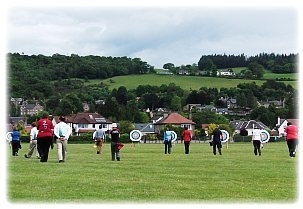 Bannockburn Bowmen held a series of competitions at Strathallan Games Park in Bridge of Allan during the 2014 outdoor season. Bannockburn Bowmen held a series of competitions at the Lornshill Academy Sports Complex, Tullibody during the 2013/14 indoor season. Bannockburn Bowmen held FITA and York competitions on Saturday 15th and Sunday 16th June, 2013 at Strathallan Games Park, Bridge of Allan. 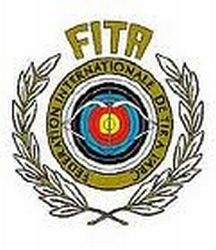 Well done to all participating archers. 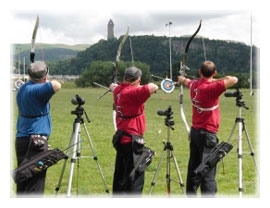 Bannockburn Bowmen held our Open FITA 18 Scottish Record Status on Sunday 10th February 2013. This was another sell-out competition with a light-hearted atmosphere which was enjoyed by all. The results of the competiton can be downloaded here. Well done to all archers. This Championship took place on Sunday 25th November, 2012 simultaneously in seven venues around the UK. Bannockburn Bowmen were again proud to be hosting the Scottish leg of the competition at Lornshill Academy Sports Complex, Tullibody. The results of the Scottish leg can be viewed here. Well done to all, particularly those who achieved Scottish Records on Sunday. 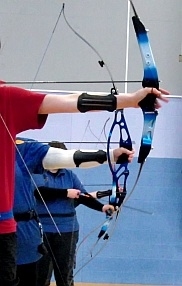 Bannockburn Bowmen held two indoor competitions on Sunday 7th October at Lornshill Academy Sports Complex, Tullibody. Many thanks to everyone who supported the event by competing, donating raffle prizes or helping with all the various jobs that have to be done. We have raised a fantastic £190 for the Dogs Trust West Calder Centre. Results of the Charity Shoot can be viewed here. 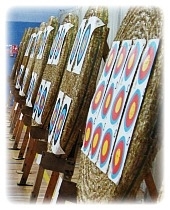 It was another sell-out Bannockburn Bowmen Open FITA 18 (Scottish Record Status) competition on Sunday 12 February 2012. Well done to all archers. 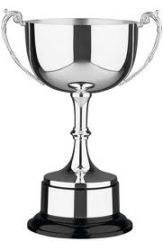 Full competition results can be viewed here and those archers who also picked up our Bannockburn Spider awards can be viewed here.